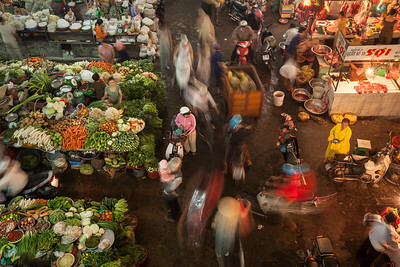 Vendors sell vegetables, meat, fish, rice a wide array of other wares at the Ben Tre market, Ben Tre, Mekong Delta, Vietnam on January 23, 2009. Photography by Forbes Conrad. 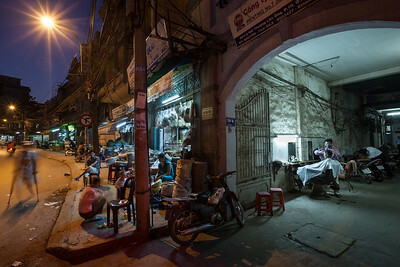 An alleyway barbershop along a street lined with traditional herb shops in Cholon, district 5, Ho chi Minh City, Vietnam on January 13, 2009. Photography by Forbes Conrad.